Brought to you by Samsung, an Oven With WiFi & Android Baked In. 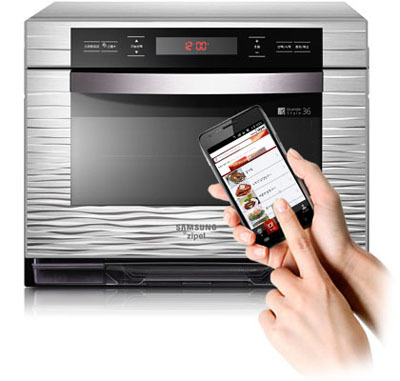 Imagine all sort of things you can do with your oven, now this can be controlled and monitored by your Android hand-held. No need to go and check your cake status, this Oven sends you pictures of what you are cooking, updates you with the temperature, reports the calories and much more right while you are setting upstairs watching TV, directly to your phone.